Two Falcon 9 rockets with reused first stage boosters will place the initial block of DigitalGlobe’s commercial WorldView Legion satellite fleet in orbit in 2021, the Earth-imaging company recently announced. 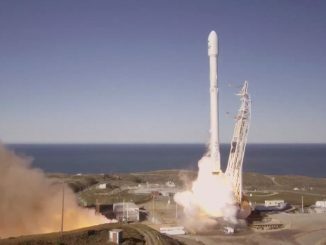 Financial terms of DigitalGlobe’s contract with SpaceX were not disclosed in the March 14 contract release, and a DigitalGlobe spokesperson declined to specify how many satellites would fly on each Falcon 9 mission, or whether the flights would take off from Cape Canaveral, Florida, or Vandenberg Air Force Base, California. SSL will manufacture the WorldView Legion satellites in Palo Alto, California. DigitalGlobe has not announced how many satellites it ordered from SSL, but presentations by company officials at industry conferences suggest six spacecraft will comprise the WorldView Legion constellation. The WorldView Legion satellites will replace imaging capability currently provided by DigitalGlobe’s WorldView 1, WorldView 2 and GeoEye 1 Earth observation satellites launched by Delta 2 rockets in 2007, 2008 and 2009. DigitalGlobe says the WorldView Legion satellites will fly in a mix of polar sun-synchronous orbits, where the company’s existing satellites are positioned, and mid-latitude orbits that do not pass over the poles. A launch into a polar orbit would require the Falcon 9 rocket to lift off from Vandenberg, a military base on California’s Central Coast, while satellites heading into a mid-latitude orbit could potentially launch from Cape Canaveral. DigitalGlobe is part of Maxar Technologies, formerly known as MacDonald, Dettwiler and Associates. Based in San Francisco, Maxar changed its name and moved its headquarters from Canada to the United States last year after acquiring DigitalGlobe, as the company aims to expand its reach into the U.S. government market. Maxar’s businesses also include SSL, which it purchased in 2012, and Radiant Solutions, a geospatial mapping and image analysis firm. Fitted with imaging telescopes and detectors built by Raytheon, the WorldView Legion satellites will capture panchromatic, or black-and-white, images with spatial resolution of around 1 foot, or 30 centimeters. That is comparable to the imaging resolution offered by DigitalGlobe’s newest satellites, WorldView 3 and WorldView 4. DigitalGlobe says the WorldView Legion fleet will double the company’s ability to capture the highest-resolution 30-centimeter-class imagery, and triple capacity over the parts of the planet with the highest imaging demands. 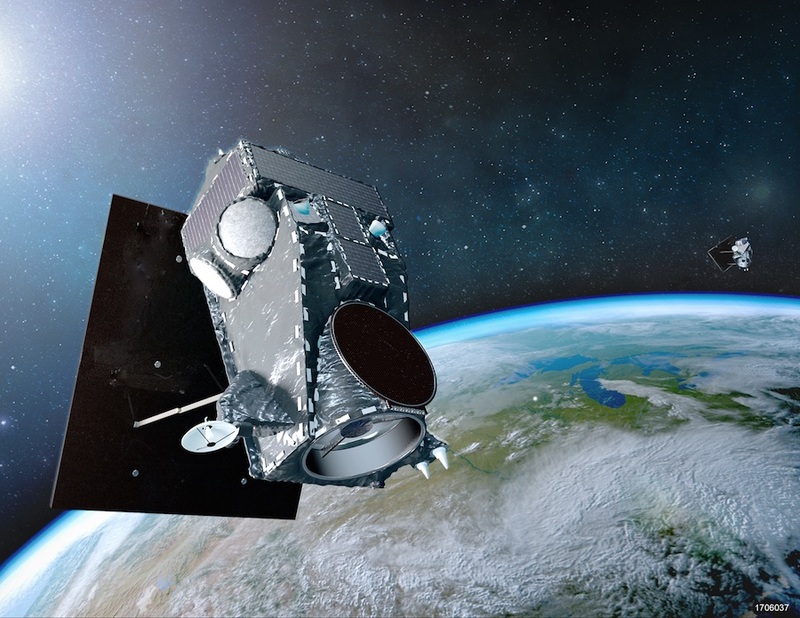 The development, construction and launch of the new Earth observation fleet is expected to cost around half of the WorldView 1, WorldView 2 and GeoEye 1 missions it will replace. DigitalGlobe officials last year said the company expected to invest around $600 million in the WorldView Legion program. Another DigitalGlobe Earth-imaging fleet developed in partnership with Saudi Arabia is scheduled for launch in 2019. The six Scout satellites are smaller and provide lower-resolution imagery than DigitalGlobe’s other WorldView craft, but they will provide faster revisits over the same point on Earth, helping analysts track daily changes. The expansion of DigitalGlobe’s fleet, which so far has emphasized ultra-sharp point imaging of specific targets, is designed to answer market demands for more timely image updates. One of DigitalGlobe’s competitors in the commercial Earth-imaging industry, Planet, operates a fleet of approximately 200 satellites — mostly CubeSats designed for wide-angle imaging — in a network tailored for daily coverage. The combination of DigitalGlobe’s existing satellites, the Scout network and WorldView Legion will be able to observe “the most rapidly changing areas on Earth as frequently as every 20 to 30 minutes, from sunrise to sundown,” the company said in a statement. Most of DigitalGlobe’s past satellites have flown on United Launch Alliance rockets — either Delta 2s or Atlas 5s. 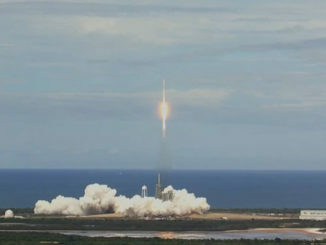 The company says it must launch its highest-resolution imaging satellites on U.S. rockets due to technology export restrictions, and because the company’s top customer is the U.S. government. 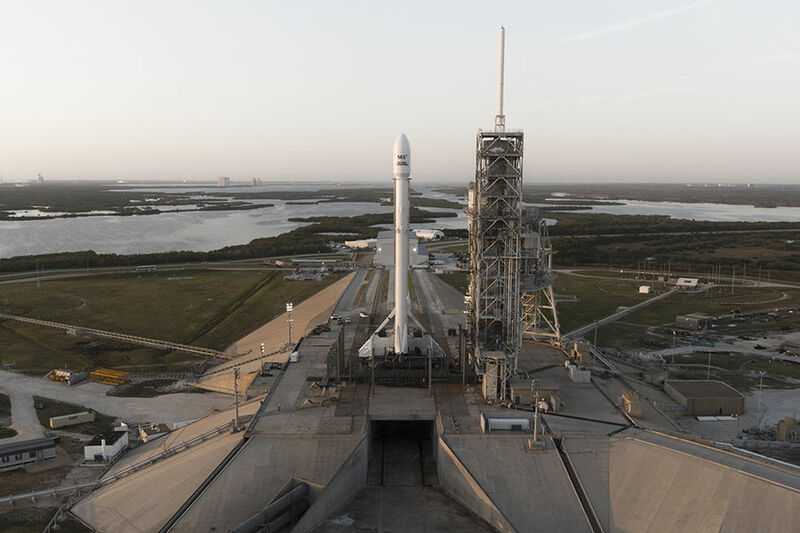 Turner Brinton, a DigitalGlobe spokesperson, said the WorldView Legion satellites will be the primary payloads on each of the Falcon 9 flights in 2021. But he said the company is open to making the rocket’s excess lift capability available for rideshares, or secondary satellites. 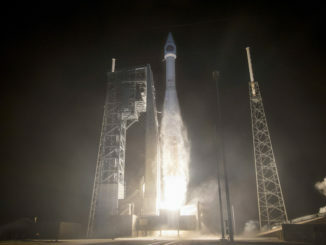 DigitalGlobe’s most recent satellite launch aboard an Atlas 5 rocket in 2016 carried several CubeSat rideshare passengers for NASA, the National Reconnaissance Office, and research institutions.